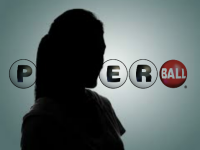 In a follow up to our story here on the case of the lottery winner who wanted to stay anonymous, there have been some dramatic developments in the court case surrounding Jane Doe the $560 million Powerball winner. Read on to find the results, as the lottery winner anonymity case reaches its verdict and the court and presiding judge come to a final decision. Following the court case, in which the woman’s lawyers argue that she feared being totally overwhelmed with begging letters and requests for money if her identity was revealed the judge agreed that it could be a danger to her safety. Had the ticket been signed in the name of a trust, the winner would have had an immediate right to remain totally anonymous, but Jane Doe was not aware she could do that and this only became known to her after the case came to court and she’d hastily signed the ticket. 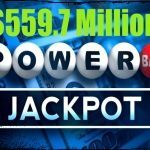 After learning she won the jackpot, the woman went to the lottery’s website and read the rules before discussing the situation with legal counsel. When the case first came to the attention of her legal team, they initially mooted that her name simply be whited out and the name of a chosen trust written over the top. However, at the time, the lottery council said that if that was the case, it would totally void Doe’s winnings and the ticket, which was purchased at Reed’s Ferry Market in Merrimack would become invalidated. Doe and her legal team therefore felt obliged to carry on with the legal action and to make sure she was protected from the possibility of being outed as having won such a large sum of money. New Hampshire State had always argued that lottery winners names should be disclosed to ensure fair play and that no favor was shown to lottery employees. At the end of the case, the court decided in the woman’s favor, saying disclosing her name would amount to an invasion of privacy. Given the sum of money won was so large, it was only to be expected that Doe might receive higher than average levels of unwanted attention and press coverage. Should her identity be revealed, “she will be subject to an alarming amount of harassment, solicitation and other unwanted communications,” Judge Charles S. Temple of the Hillsborough Superior Court Southern District said, in part of his fifteen page summing up of the case. However the judge did say that the winner’s hometown which is Merrimack in New Hampshire would have to be revealed He further added that she could not be identified from this one bit of information, and that that should not be kept a secret. Doe did not argue with this and accepted the Judge’s decision. He went on to dismiss the state’s argument that disclosing her name would show the public that the current way the lottery games are run across America were ‘above board’. 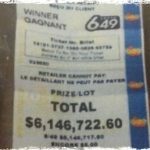 He argued that there was “no evidence” New Hampshire Lottery Commission had been involved in any kind of corruption, adding further that the winning numbers had been drawn in Florida anyway. One of the lawyers for the New Hampshire winner said that his client was elated to hear the news. ‘Jane Doe’ had already received her after-tax winnings of $264 million, while the judge thought over her claim to privacy. “New Hampshire has a long tradition of protecting and preserving the right of privacy, and people pride themselves on it, in the ‘Live Free or Die’ scenario we have in this state,” her lawyer, Billy Shaheen was quoted as saying. He also added that his client was currently deciding on how the money would go to benefit others. She has already donated a combined $250,000 to Girls Inc. of New Hampshire, an empowerment group for girls, and three chapters of End 68 Hours of Hunger, which provides meals for schoolchildren during the weekends. 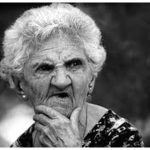 However, the most important decision she had yet to make was on how to spend the rest of the money whilst she was alive and whether to leave any in trust or endowments for when she is gone.